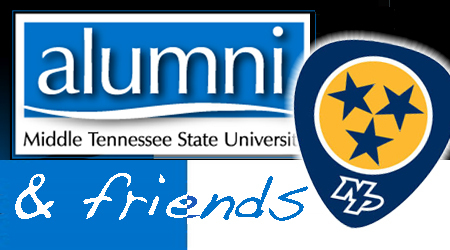 The MTSU Office of Alumni Relations is planning the annual MTSU Alumni & Friends Night with the Nashville Predators for Saturday, Feb. 4, in Bridgestone Arena in Nashville. The event features the National Hockey League team’s 7 p.m. game against its Central Division rival St. Louis Blues. Cost is $35 per person, which includes a game ticket and admission to a reception in the D-G Room on the arena’s lower concourse. Reception-only attendance costs $12 per person. The reception, which begins at 5:30 p.m., includes food and nonalcoholic drinks, and a cash bar will be available. All reservations and prepayments must be made by Friday, Jan. 20. To reserve a seat, call 615-898-2922 or 800-533-6878 or register online at www.mtalumni.com.